Rangda is the embodiment of ancestral spirits are applied in the form of masks and usually part of traditional rituals and religion in Bali. 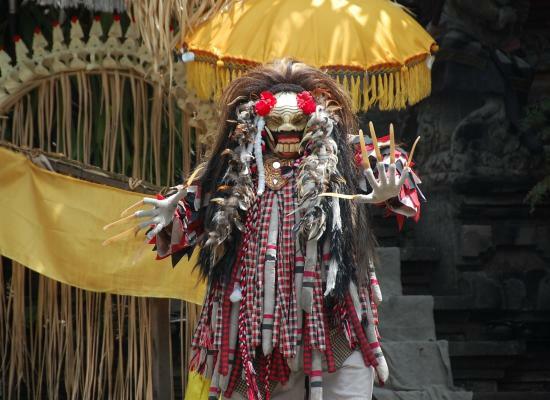 Embodiments of Rangda in Bali not only as a ritual supplies, also part of the tourist attractions. Rangda dance is one of the most desirable dances to be witnessed in Bali. Views rangda always made creepy, with long fangs, big teeth, long hair, bulging eyes, a look awful. Rangda looks creepy as possible so that anyone who saw that had a feeling of fear. If they are afraid, it will not underestimate the ability of Rangda. If the insects are not sinister, perhaps people will dump the embodiment of ancestral spirits. In the temple, the insects and the symbol is the embodiment of ancestral spirits. Placed in the most considered sacred, and maintained well. Each implementation of a temple ceremony, insects have always been part of the ritual. Embodiment Rangda become a symbol of the spirit lelehur presence at the temple. At a certain point, sometimes insects temple in traction. Insects dance in the temple will evoke mystique and austere. In fact, sometimes there are people who become hysterical see Rangda dance. If the places of tourist performances, insects danced with a concept and a specific theme. Some insects also accompanied by a dance another dance, or even accompanied by supernatural attractions, show of force by piercing a sharp object into the body of a dancer, but without causing injuries. 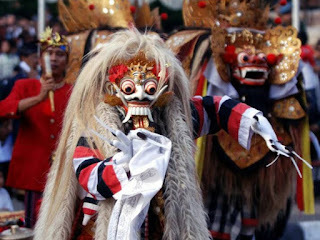 Rangda dance is also usually accompanied by a barong dance. In specific terms, the figure of Rangda is the embodiment of ancestral spirits who protect the citizens. But in other respects, Rangda figure became a symbol of evil, evil, negative things that interfere with human life.